Look for the Proudly Wisconsin Badge when shopping for cheese. Any brand of Wisconsin Asiago can be used in this recipe. Melt 1 tablespoon butter in a Dutch oven over medium heat. Add onion; cook and stir for 5-6 minutes or until tender. Reduce heat to medium-low. Add garlic; cook and stir for 1 minute. Whisk in the remaining butter until melted. Whisk in flour until combined. Gradually whisk in broth, cream, salt, pepper, mustard and paprika. Bring to a boil; cook and whisk for 2 minutes or until thickened. Reduce heat to medium-low. 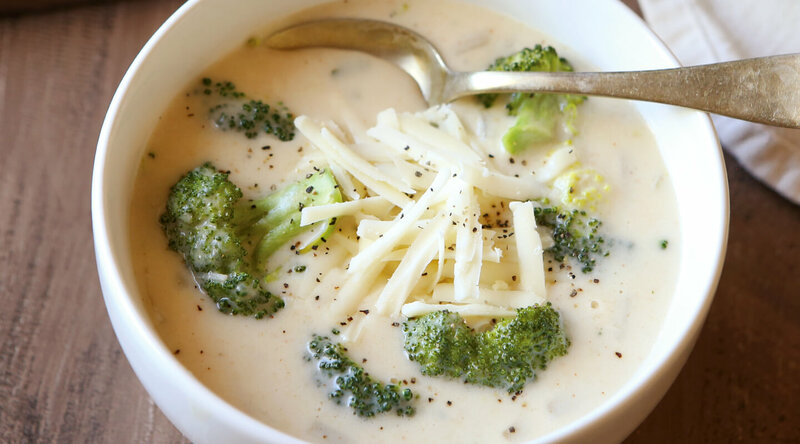 Add broccoli; simmer, uncovered, for 15-20 minutes or until broccoli is tender and soup has slightly reduced, stirring frequently. Reduce heat to low; gradually stir in asiago until melted. Remove from the heat. Season with salt and pepper to taste. In Wisconsin, cheesemakers age asiago cheese to develop sharper flavors that resemble a cross between aged cheddar and parmesan. For ease, bring asiago to room temperature before shredding.